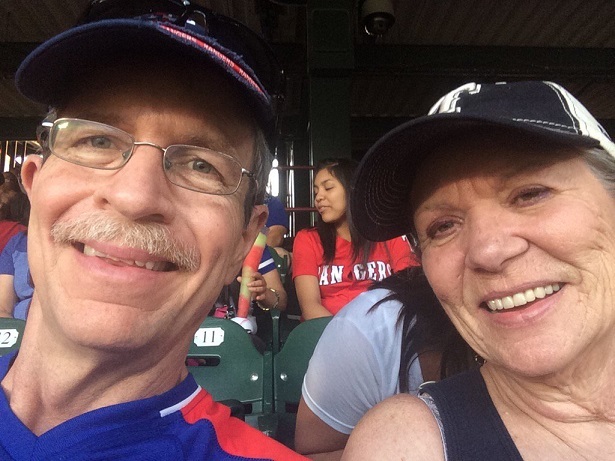 Say hello to John (John_R), a father, grandfather and idiopathic pulmonary fibrosis (IPF) survivor. Sound familiar? Last year he shared his story about life after a double lung transplant and the importance of considering a lung transplant early. This year, John started a Facebook group to live-stream pulmonary fibrosis (PF) support group meetings and conferences. 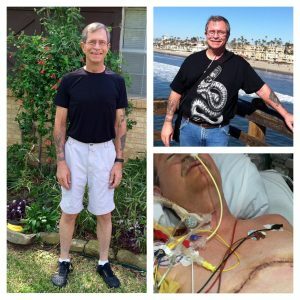 John received a bilateral lung transplant on January 1st, 2015, and believes he’s alive today thanks to his donor family and care team at UT Southwestern in Dallas. Now, he’s committed to raising awareness for the needs of the pulmonary fibrosis community. John’s life before transplant included the use of supplemental oxygen 24 hours a day, and what he calls, “an eminent expiration date” in his near future. He couldn’t visit family in Colorado or the higher elevations of New Mexico due to the altitude, and every breath was a struggle. According to John, many people diagnosed with IPF have never even heard of the disease prior to hearing of it from their doctor. Then they learn that their disease has no cure and only a couple of treatments that slow the progress of fibrosis for some. Online research about IPF offers little comfort either. John’s experience motivated him to start an online support group using Facebook Live. After trying a paid platform to share their meetings, but finding it too difficult for some participants to access, John thought Facebook Live seemed a good option. Once someone has joined the group they get a notification when the support group goes live. Though the Facebook group is new and participation is growing, John hopes that it will help people understand that they are not alone, and that he can provide some valuable information about IPF and lung transplants. “I use PatientsLikeMe to track my data and as a platform to share with others in our community. I can easily view my lung function both before and after my transplant, track my weight loss and ensure I am maintaining a healthy weight, and keep an eye on A1C, cholesterol, and all my medications in one place. PatientsLikeMe has also given me the opportunity to participate in studies and share my voice with the healthcare community. As our #NotAlone campaign wraps up, we hope you’ve been encouraged by the thoughts and personal stories of how other members have felt less alone by learning, connecting and tracking on the site. We recently had a look at all the member posts in the #NotAlone forum and wanted to share some highlights with you! You can always revisit the #NotAlone forum threads to see more of what people said, and keep sharing your own stories whether in the forums or on your profile. Remember, you can help someone just like you see they’re #NotAlone every time you reach out to others and share your own real-world experiences.